This conversation on improving gum health was sponsored by P&G, but all opinions are my own. To be honest, it wasn't until recently that I started to take gum health seriously. What really did it for me was learning that 50% of adults in the US suffer from gum disease. Fifty percent! Gum disease is no joke — it can cause bad breath, receding gums, and even tooth loss if left untreated. 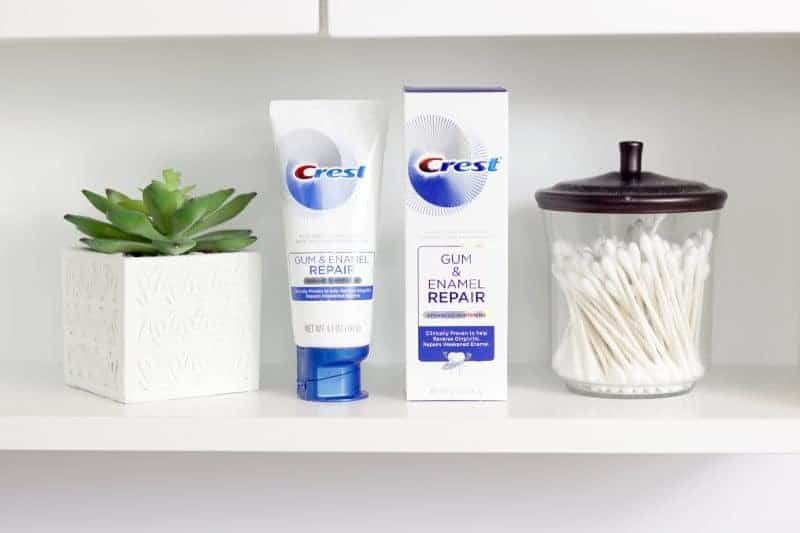 Luckily, I found out that keeping my gums healthy was as simple as following good oral hygiene practices and switching to brushing with the NEW Crest Gum and Enamel Repair toothpaste. Read on to learn the three steps that I am taking to improve my gum health. When plaque builds up along our gum line bacteria and acids from the foods that we eat get stuck in it. This leads to the breakdown of tooth enamel and, eventually, to gum disease. Brushing with Crest Gum and Enamel Repair not only helps to remove this sticky plaque, but it can also help repair weakened tooth enamel. 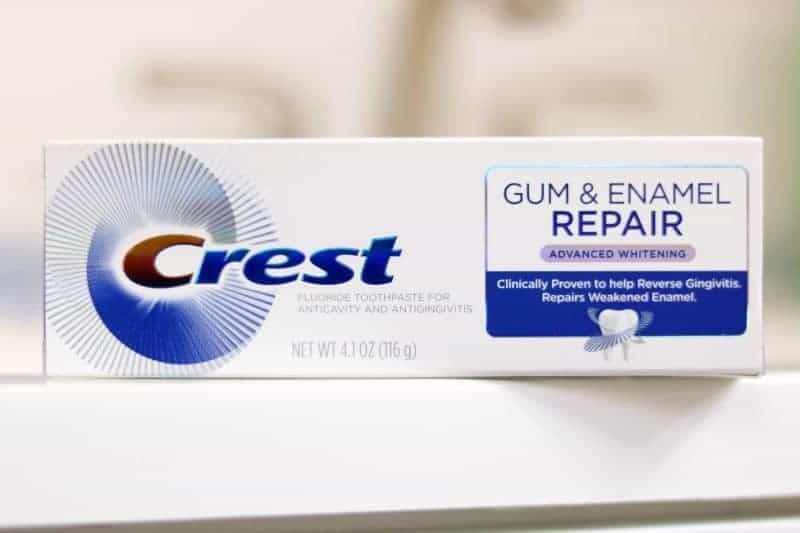 Crest Gum and Enamel Repair has even been clinically proven to reverse a form of gum disease called gingivitis. By brushing twice daily with Crest Gum and Enamel Repair I know that I am working to keep my gum line healthy, and my enamel strong. Plus, my entire mouth feels clean and fresh after brushing with Crest Gum and Enamel Repair. While brushing does a great job cleaning your teeth, sometimes food particles and plaque get stuck between your teeth where your toothbrush can't reach. Flossing once per day will help to keep the area between your teeth free from trapped plaque and food particles. Lastly, be sure to visit your dentist twice per year for cleanings. Not only will your dentist's professional cleaning help to remove tartar and plaque buildup, but your dentist will be able to spot any gum issues that may be developing. Spotting gum issues early on puts you in the best position to form a plan with your dentist to improve your oral health. The key to healthy gums is really as simple as practicing good oral hygiene and brushing with Crest Gum and Enamel Repair. 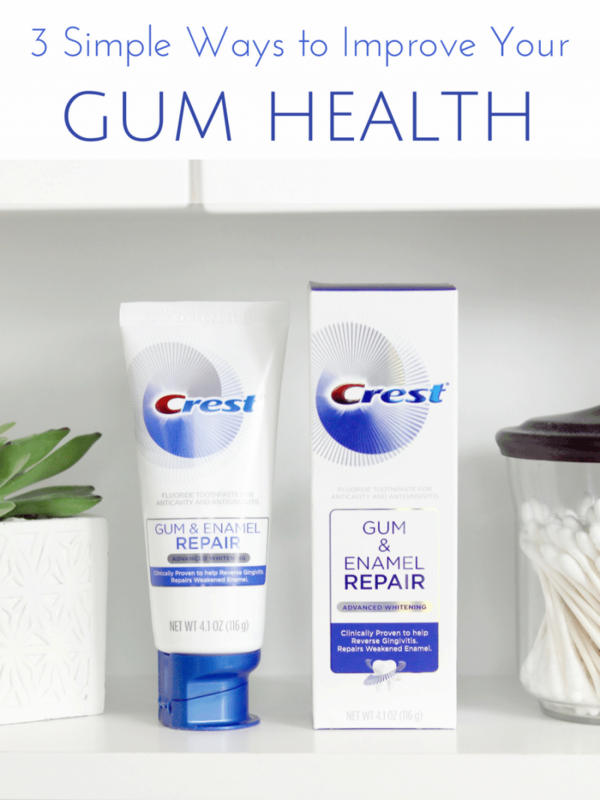 Try Crest Gum and Enamel Repair for yourself. 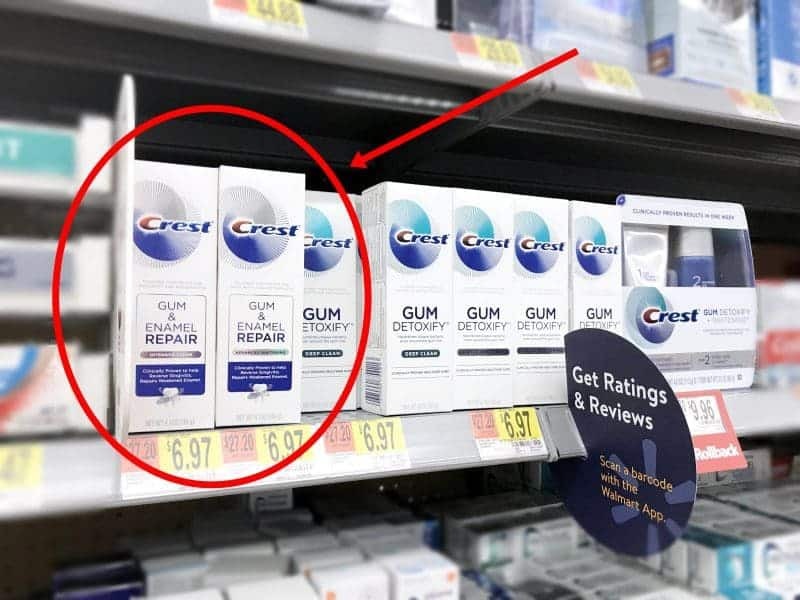 Crest Gum and Enamel Repair is now available in Intensive Clean and Advanced Whitening variations at Walmart stores nationwide. 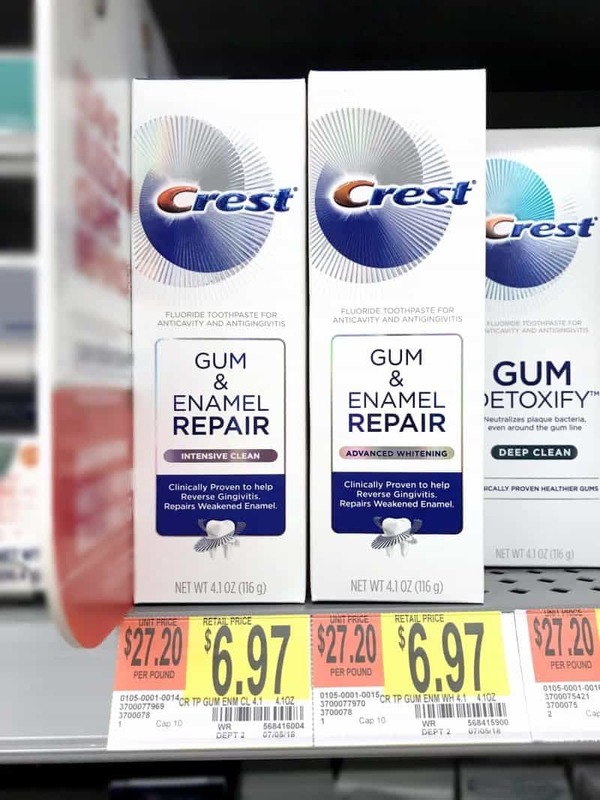 Plus, for a limited time you can save $1 on your Crest Gum and Enamel Repair with a $1-off Crest coupon. Just look for the $1-off Crest coupon in the coupon insert of your 7/15 newspaper. Coupon expires 8/11/18. I do brush twice daily and floss. Gum health is important to our family. My daughter battles very sticky plaque that makes this a priority. Sad to say, but as you get older, your gums need more attention so I am definitely picking this up when I go on my next shopping trip. I really have struggled with gum health for years. I had one big infection and it has been hard to kick. I am going to be buying this toothpaste as soon as I use up what I have. Anything that can help! These are great tips! I had no idea that so many people struggled with gum health. I’m actually on the hunt for this. My dentist thinks it will be a good alternative to other treatment! I am going to try this, thank you.